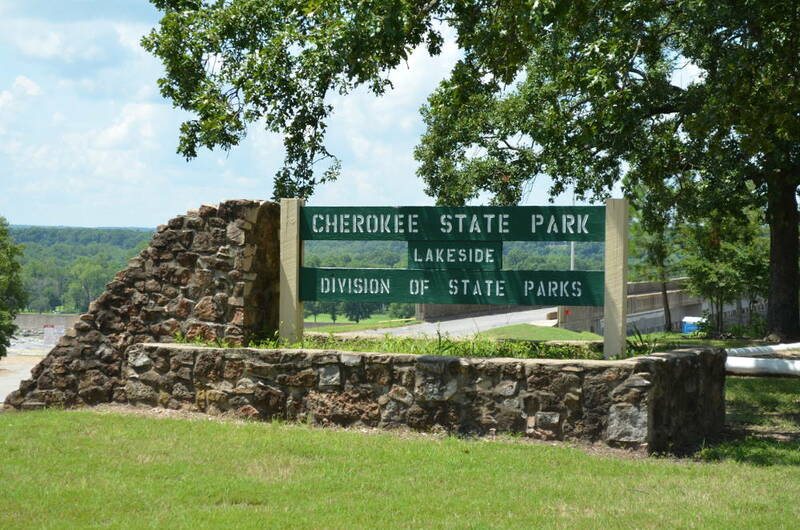 The Cherokee Area is divided into four smaller parks located near the dam and around the lake and river below the dam: Lakeside, Riverside, Grand View and Grand Cherokee. The Lakeside area is above the dam with a beautiful view of the lake. 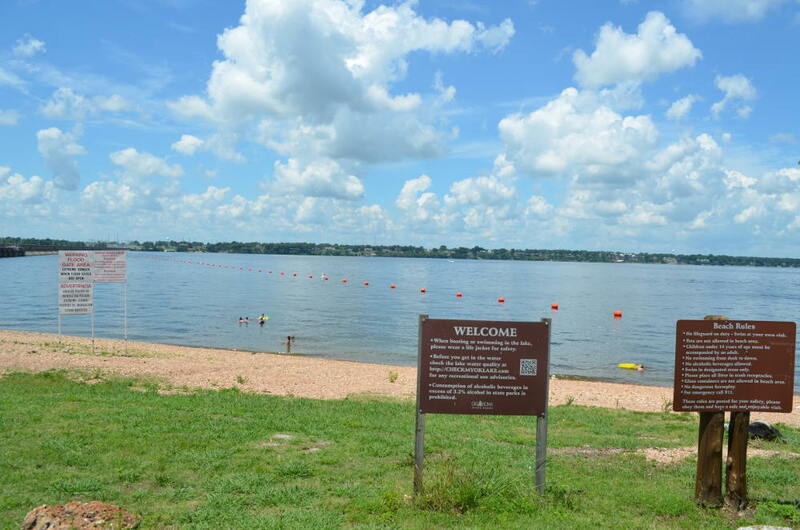 There are 12 RV sites and 15 tent sites with a swimming beach, playground, picnic sites, restroom with shower and lighted boat ramp. The Riverside area is located below the dam and known for the exceptional fishing. A boat ramp allows easy access to the river for the anglers who prefer to be out on the water, but fishing is just as good from the banks. There are 15 pull-thru RV sites with full hookups (5 along the banks of the river) and 50 tent sites. This campground has pit toilets with showers available in the nearby Grand Cherokee campground. The Grand View area is below the dam just off highway 28 next to the spillway. There are four RV sites with electric service only and 45 tent sites. Amenities include a group shelter and comfort station. picnic tables and a shelter. Comfort station. The Grand Cherokee area is located below the dam with 13 RV sites with full hookups including 50 amp electric. Some sites have pull-thru service. 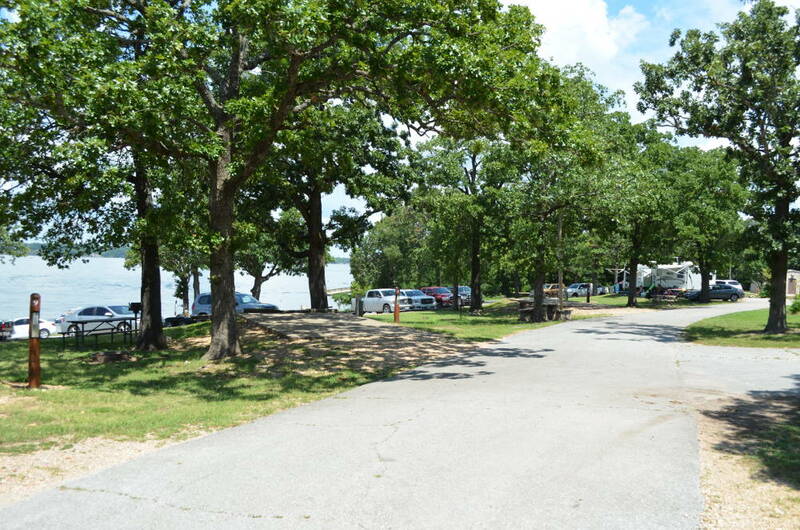 Amenities include a swimming beach, lighted boat ramp, picnic sites, a group shelter and restroom with showers. There is also a nine-hole golf course along the river below the dam. You can book your RV campsites right here.